Of the 11 small and full-size crew cab trucks the IIHS evaluated, only the Ford F-150, Nissan Titan and Ram 1500 earned a top Good grade on the recently instituted passenger-side small overlap test, which simulates a vehicle being struck at its right front corner, rather than dead-center. According to IIHS Chief Research Officer, Dave Zuby, the Ford F-150 performed the best overall in this test. 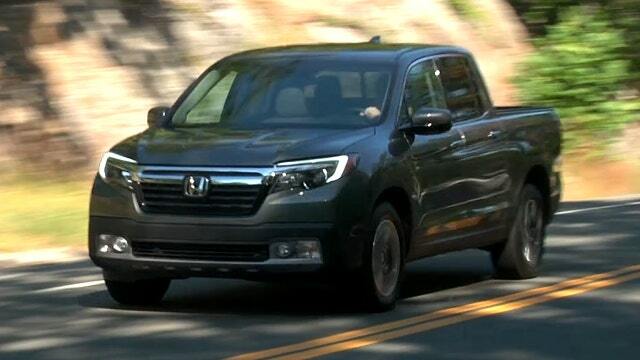 The Ridgeline and Toyota Tacoma were rated Acceptable in this test and all of General Motors&apos; small and large trucks rated Marginal, while the Nissan Frontier and Toyota Tundra, the two oldest models tested, were given the worst Poor rating. All of the trucks earned Good scores for driver-side overlap protection, except for the Frontier and Tundra, which were deemed Marginal. The Ram and GM full-size trucks were all-new for 2019. The recently introduced 2019 Ford Ranger has not yet been tested by the IIHS.